Enthrall the people close to your heart by sending them this Pleasant Chocoholics Favorite Gift Basket which comes with all the ingredients necessary to make one happy. 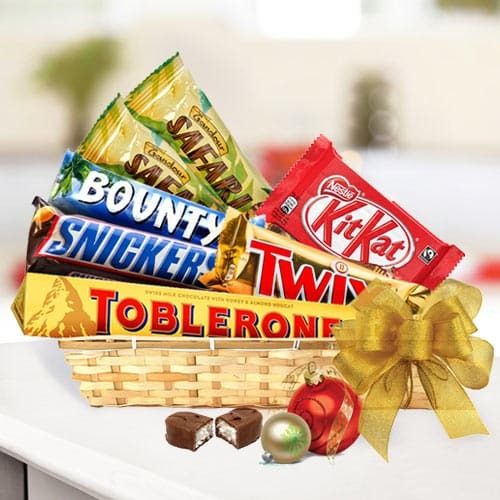 This classy Gift Basket is suited to the finest of Chocolate lovers as it is composed of Toblerone Chocolate bar (50gm), Bounty, Snickers, Twix, Kit Kat and Safari- 2 pc each. All these products are displayed nicely in a Tray.